The definition of awesome sauce. Our main male lead is an independent contractor who lives alone in a massive warehouse (massively cool warehouse) and dreams of one day escaping to an island paradise. He is known by the codename HEALER. And he looks very good in black. 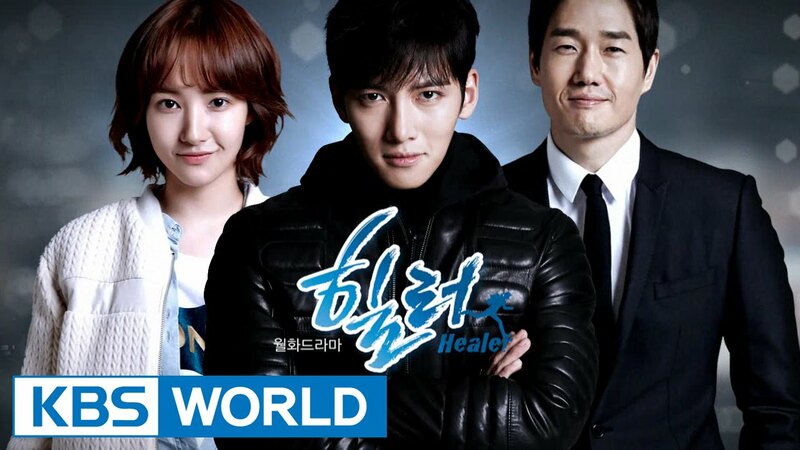 Ji Chang-Wook is a star for a reason. He shines in everything. Our main female lead is a young street reporter who works for an online news source and dreams of being a more successful reporter. Her father is a coffee shop owner/criminal lawyer. Many of the criminals he helped in his long career have now become his employees and act as an extended family for our young heroine. Needless to say, it can be pretty cushy to have the support of such a clan. And it’s ripe for comedy gold. Our second male lead is a seasoned reporter, well established and celebrated for his work. He has been looking for the whereabouts of a “child” for many years, who was adopted. She’d be about the same age as our lead female… coincidence? Cough, cough. Outstanding Supporting Cast all around, without exception. Everyone is great in this. There is action, there is intrigue, there are complicated but exciting plotlines with many twists and turns. We’ve got people under cover and double agents and secret identities and mysteries of the past mixing up with mysteries in the present. There’s breaking and entering, there’s cyber crime, there’s lots of insanely good choreographed fights. Did I mention murder? Revenge? Childhood ninja training? The production value is top notch. The music is great. It’s a fun, fun, funnnnnnnn show. There’s also a nice romance and plenty of satisfying flirtations and longing stares to keep your heart racing with the action. Every single episode is quality. Too good for a major review with spoilers – just watch it. Watch it. Watch it, watch it, watch it! Overall Rating – 10/10. Awesome In Every Way.